The benefits of reflexology have been known for thousands of years in places like Egypt, China, India and Japan, but it took quite some time for this type of treatment to be accepted in other cultures. Now that these methods have been somewhat proven to have many benefits on the body, more and more cultures are beginning to embrace the idea of using reflexology for various ailments. 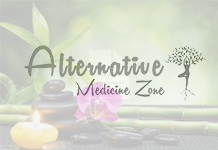 The basic idea behind this form of alternative treatment is that you will be able to release energy from various parts of your body by applying pressure to certain points on the body. It’s rather easy to realize what the main benefits of reflexology are after your first few sessions because you become more energized and really your body feels much better overall. The points on the body that will be targeted with reflexology are the ones that are directly connected to certain organs and systems in your body. It’s important that the points on the body are hit at the exact and perfect angle during reflexology therapy to make sure everything works as it should. There are three main benefits of this treatment that are seen by most of the people who try this type of therapy. The first benefit is one that everyone can agree to be the most important because it involves the lowering of stress and tension throughout the body. The other benefits of this therapy are closely connected because they both involve your body’s ability to better circulate blood and help it regulate itself against harmful illnesses. Where do the benefits of reflexology end? There have been a number of studies completed on the benefits of reflexology, and most of these studies turned out to have very positive results for people who are suffering from different diseases such as diabetes or carpal tunnel syndrome. All situations are not the same, and different people will be able to find different things that turn out to be beneficial for their body. That being said, alternative forms of therapy like reflexology are usually only used after more traditional therapies have failed. Most of the reflexologists in existence today have discovered that a person’s feet are much more receptive to health conditions than any other part of the body. You will want to concentrate on the feet when you first begin your reflexology treatment, and then move on to other areas of the body such as the hands. While it’s important to work the hands, they are actually not a very effective part of reflexology treatment since everyone uses their hands on a pretty frequent basis. The main reason people take a hard look at the many benefits of reflexology is because they want to get rid of their stress. If that is your main goal then you should definitely check out this alternative therapy that can get rid of your intense anxiety rather quickly.